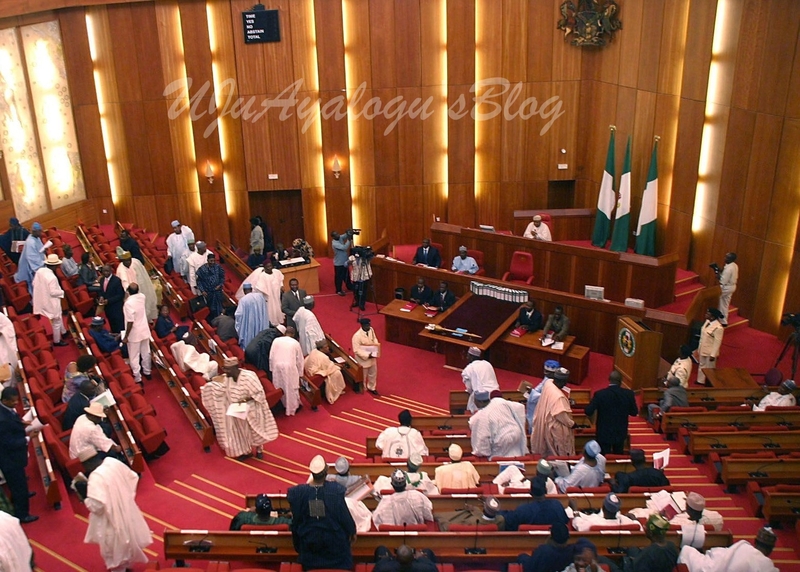 Drama broke out in the senate recently after PDP senators reportedly called the APC "All Progressive Crisis". It has been reported that there was a mild drama at the Senate on Tuesday over the National Executive Council meeting of the All Progressives Congress held in Abuja. According to Punch Metro, the members of the minority Peoples Democratic Party mocked the APC over the current crises in the ruling party at the national level and in some states. The Majority Leader, Senator Ahmad Lawan, had moved that the plenary be adjourned for the APC NEC meeting. Lawan said, “Today, the All Progressives Congress, the ruling party, the APC, is holding its NEC meeting and it has already started. As a very time-conscious party, our colleague senators on this side (majority) are representatives of the chamber, and because of this I want to plead with all our colleagues here across party lines to show the understanding just as we had shown understanding when the minority party, the PDP senators have to go for congresses or whatever. While saying this, the PDP senators chorused, ‘All Progressives Crisis,’ forcing Lawan to pause and call for ‘protection’ from the Deputy President of the Senate, Ike Ekweremadu, who presided over the plenary. Seconding the motion, the Deputy Minority Leader, Emmanuel Bwacha, said, “Before I second the motion, I want to join my colleagues from the other side sincerely and wish them safe landing. The number of policemen we have is short because of the crises.